Named after Our Lady of Victory (now known as Our Lady of the Rosary) where Mary through the prayer of the rosary helped defeat the Moors at Lapanto. 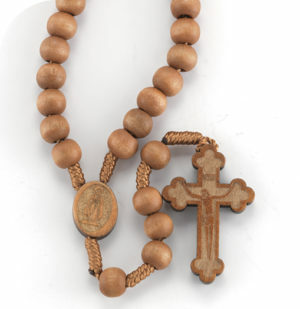 With fine finishes and heirloom quality crucifix and center, this rosary is one that will be cherished for generations. 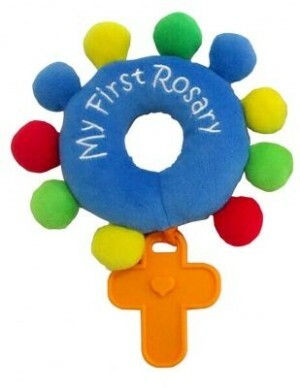 Built to order, these rosaries may take 2 weeks to turn around. Combining the beauty of hematite stones with lava rock, fine hematite spacers this rosary will be one that will inspire for years to come. Included is 4 sample oils and organza pouch. 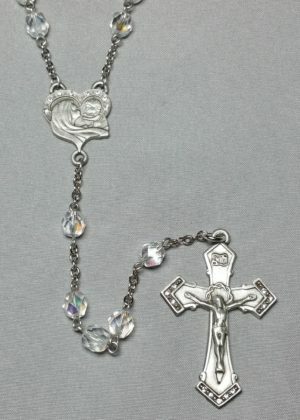 Hematite and Lava Rock w/ large quality bronze crucifix and center and fine glass accent beads + 4 Sample Oils.